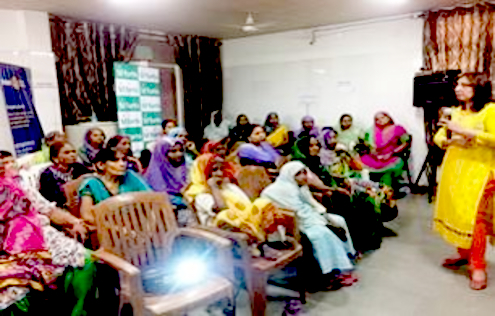 Fortis Hospital Mohali in association with Rotary Club Chandigarh, organized an awareness session on, ‘Women Health & Hygiene’ for the women from economic weaker section of Mauli Jagraan, Chandigarh. Over 40 women attended the session. Dr. Ritambhra Bhalla, Senior Consultant, Gynaecology informed the audience about the common health problems such as anemia, protein and calcium deficiency which are quite prevalent in economically backward classes. She also threw light on PCODs, contraception methods, cervical cancer, breast cancer and ovarian cancer, their symptoms and preventing measures along with educating them about personal hygiene.